We hope you did not miss our feature with Tiina Sandberg, who is the creator of the wonderfully inspiring plant-based food platform My Berry Forrest. 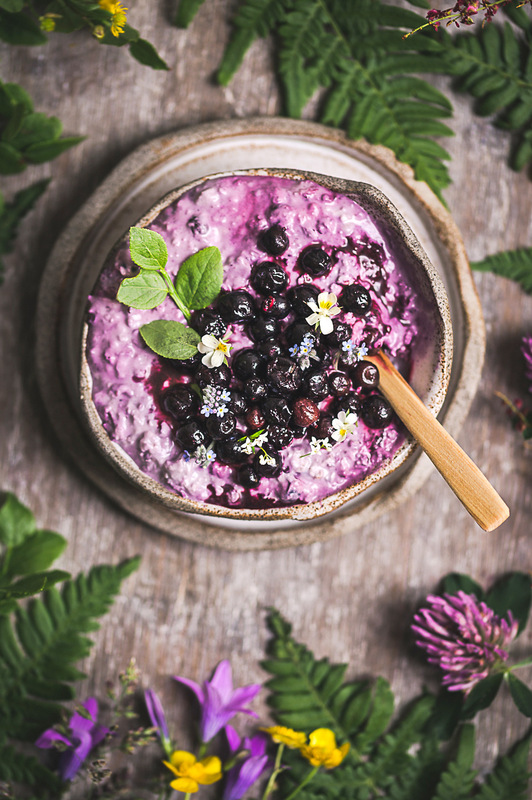 This time we are thrilled to share one of her absolute favourite breakfast recipes - Creamy berry overnight oats! Tiina: “This recipe is a celebration of Nordic oats and Nordic berries! 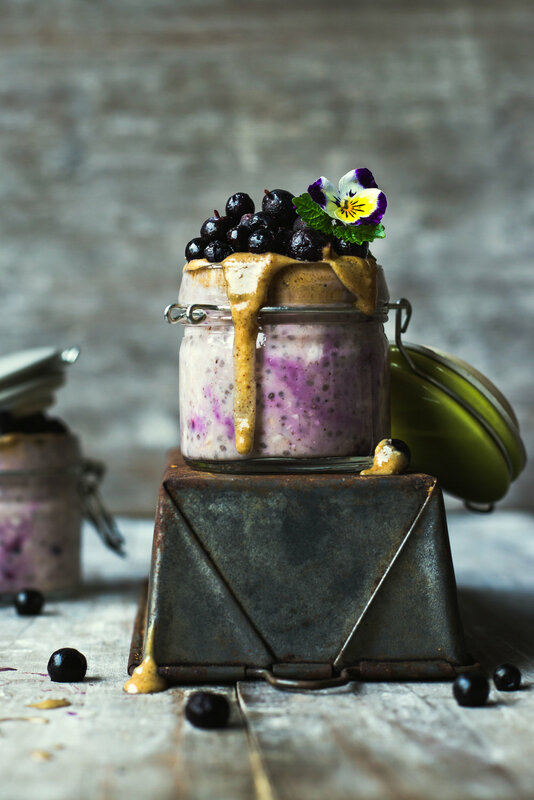 This is one of my favourite breakfasts and very easy to make: basically just mix the ingredients in a jar, put the lid on and keep in the fridge overnight. Decorate with berries in the morning and enjoy! On top: more berries and more almond butter if you wish! Mix all overnight oats ingredients well together in a jar (or bowl). Cover with a lid and put in the fridge overnight or at least 2 hours. Enjoy as breakfast or snack or even as a healthy wholesome dessert. 1 .Use different berries and seasonal fruit and different types of nut butter like peanut butter and hazelnut butter. 2. You can even leave out the berries and add some chopped chocolate pieces instead. 3. You can also add other healthy seeds to make this even more wholesome: hemp seeds, sunflower seeds or pumpkin seeds. 4. You can also use roasted fruit, which gives a lovely warming element and makes this a perfect brekkie on winter weekends.